All the songwriters who are constantly asking me for drum loops will get a kick out of the new Frankenstein Loops pack from Dublin’s Creamy Sonic Studios. 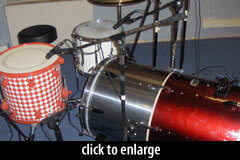 Check out the crazy drum kit! 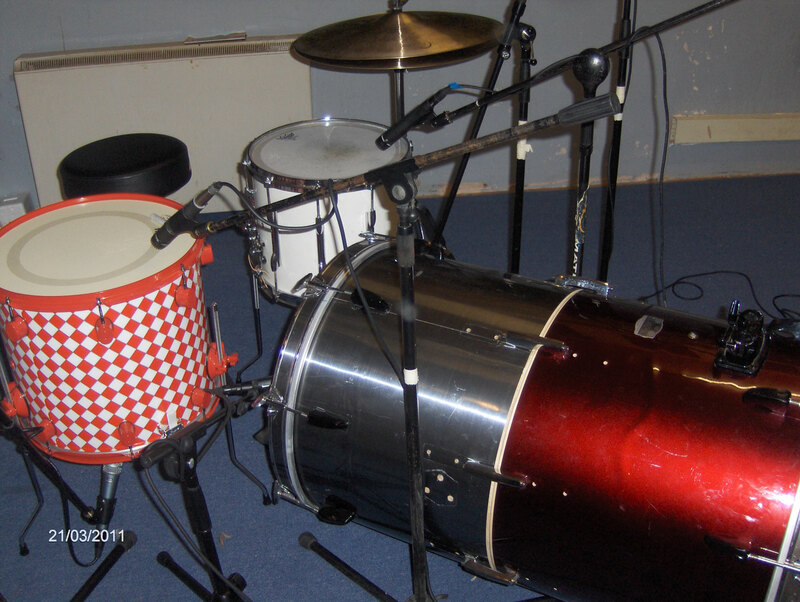 The kit was scavenged and assembled by Charlie Keegan, who performs on the loops. 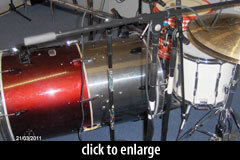 The main snare is a marching drum. 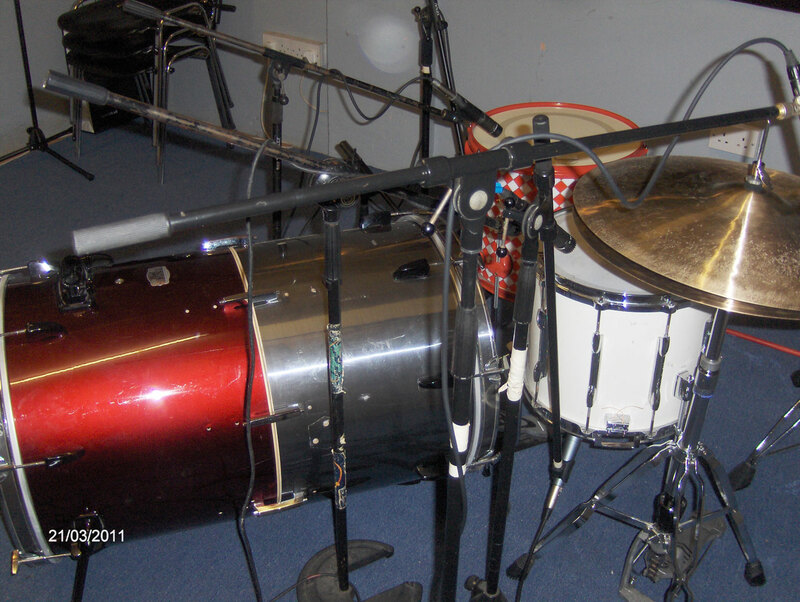 The other one, I’m guessing, used to be the world’s ugliest floor tom. The Frankenstein Loops pack is a free download, and includes 32 clips sorted into 4 tempos. There are a couple core grooves with several variations each. Also included are 22 individual instrument samples: great splashy monster hats, the marching snares, and the kick of doom. I really wanted these to be big dirty DJ Shadow kinda beats and I think that was well achieved. I used a little dynamic control to tape, more for level than shape. A little EQ and compression on the mix. No verb or effects. Compression, EQ, and limiting on the master bus. Pete tells me there are more loops in the works, if enough folks show interest. So, if you want to hear more, get in touch with Creamy Sonic Studios, sign up for their mailing list, and publish some songs with the Frankenstein loops. Send us your tracks and we’ll list them here! This was a really fun project, and done as a tester. I have been approached by several drummers in the last couple days who are interested in doing something similar but I would really like to focus on having unique aspects to the sessions. Charlie has said something about building a kick out of a marching bass drum, but we’ll see. The sound of that snare is all wrong for me. Thin and ringy. But i keep hearing people use that type of sound in recordings and they act proud of it. Baffling.